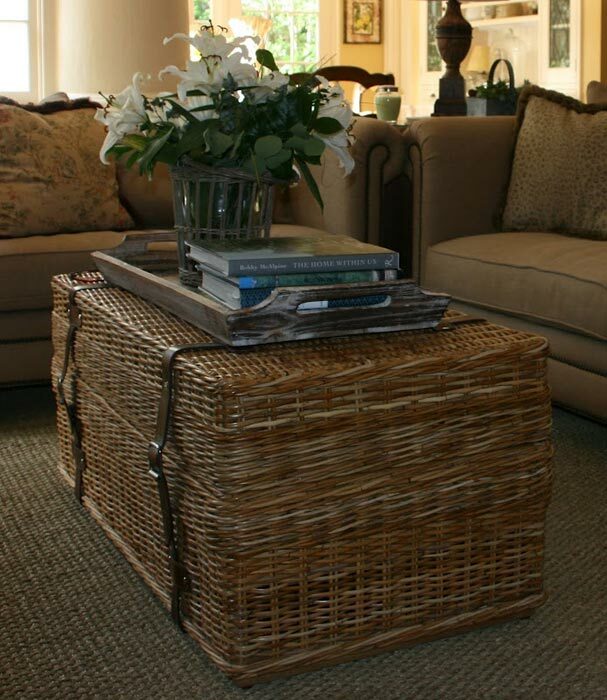 A wicker trunk coffee table is a perfect living room item that combines great style and functionality. Having the shape of a trunk these coffee tables provide enough storage space to store all the important things to keep at hand yet away from everyone’s view. Besides you can place here your thingamajigs that you feel sorry to throw away. 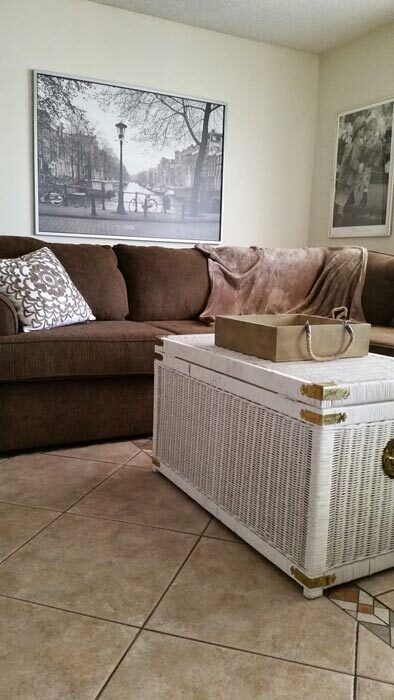 However, the most essential advantage these coffee tables own is the unique rustic appeal. These furniture pieces add an exotic touch to wherever they are placed in. 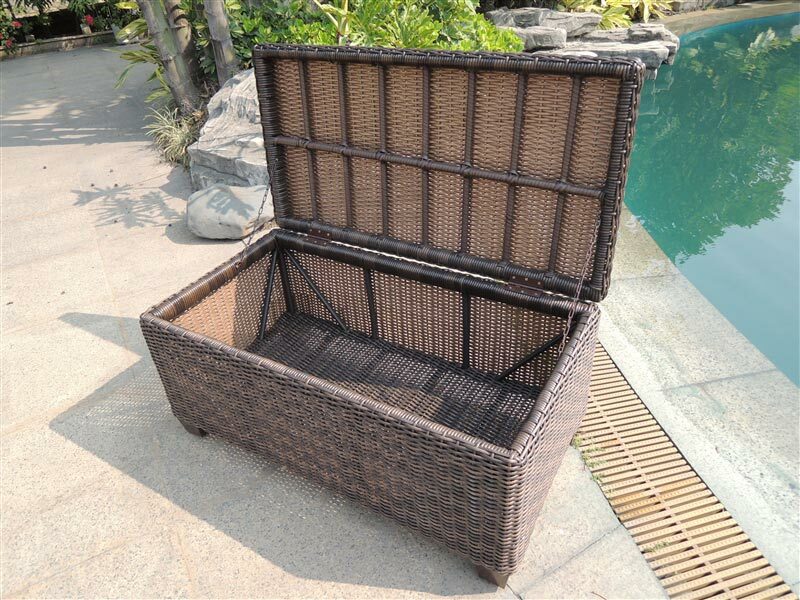 So, if you find your living space lacks something to appear its best, perhaps a trunk coffee table made of wicker will be a great version to consider! It is sure to infuse your living space with cosines and an incredible warmth. 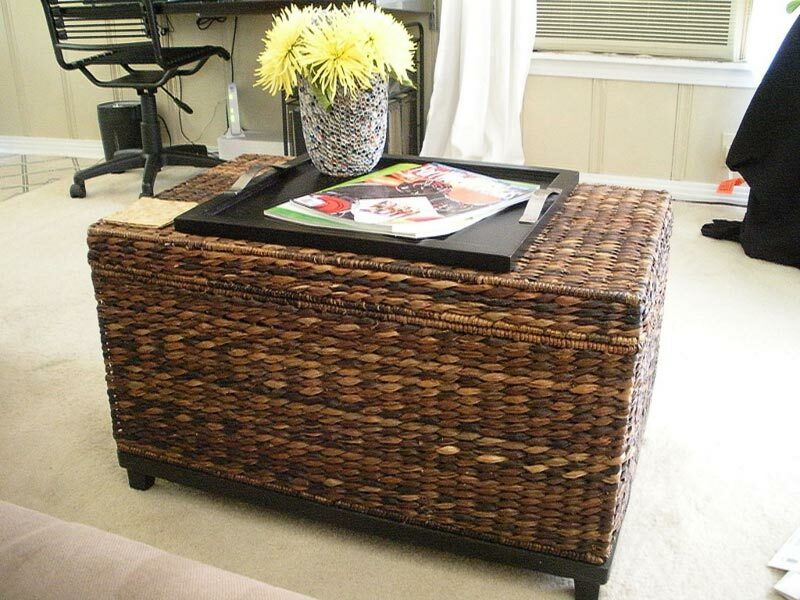 So does the Hidden Treasure Trunk Coffee Table with Lift-Top by Hammary. 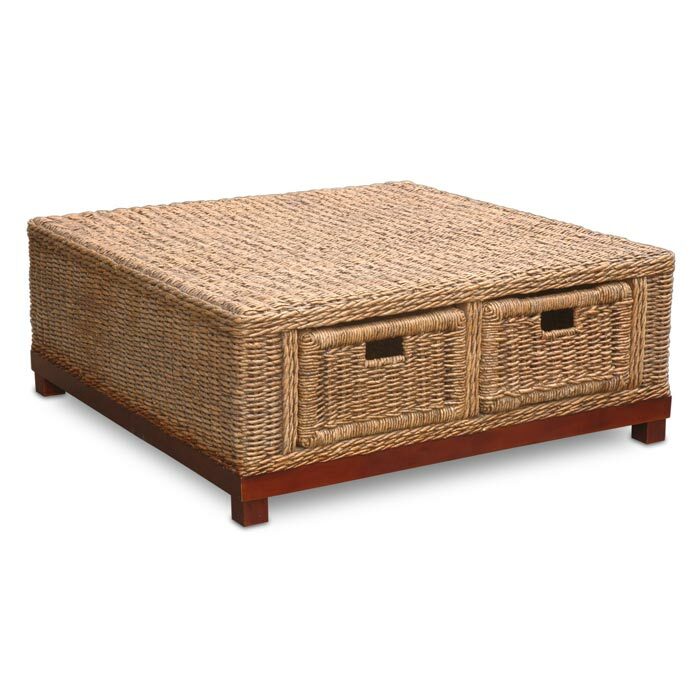 Costing $420 this amazingly decorated wicker trunk table has a coastal style and makes its surrounding environment appear more welcoming and warm-looking. 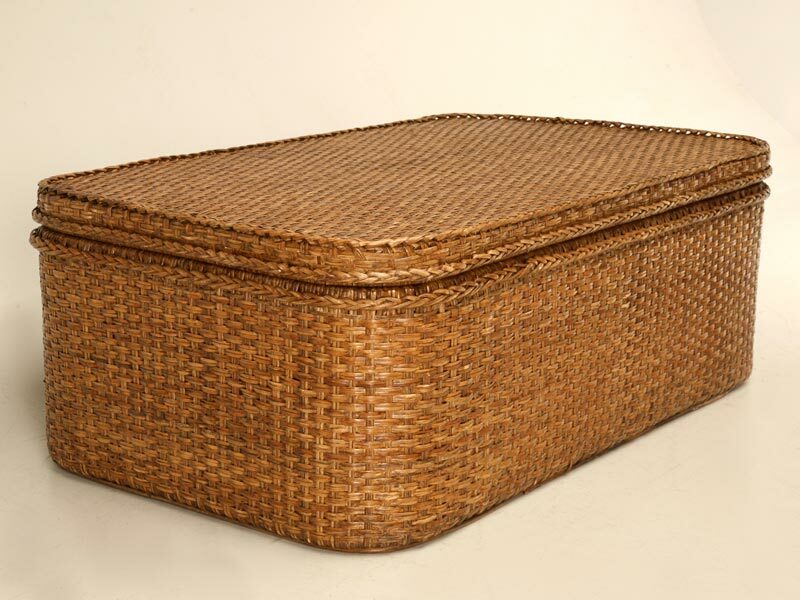 Another wonderful model of a wicker trunk coffee table is the Brown Wicker Storage Trunk Coffee Table offered by Threshold. Costing $200 this stylish piece of furniture can store quite a great amount of different things such as magazines, books, notebooks, DVDs, remote controls and suchlike stuff right there in your living room! Meanwhile a fascinating interior look of your living room is guaranteed! 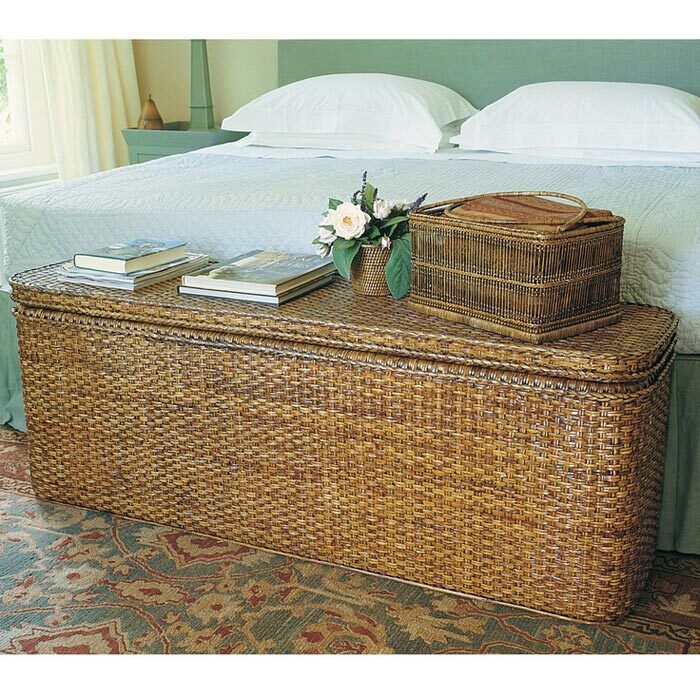 Your guests cannot but feel the exotic breath this wicker table model brings to the space.